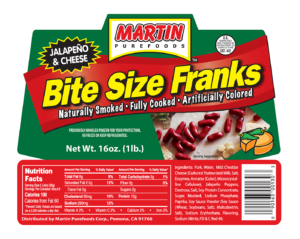 Home »Hot Dogs »Bite Size Jalapeno Franks with Cheese 16 oz. 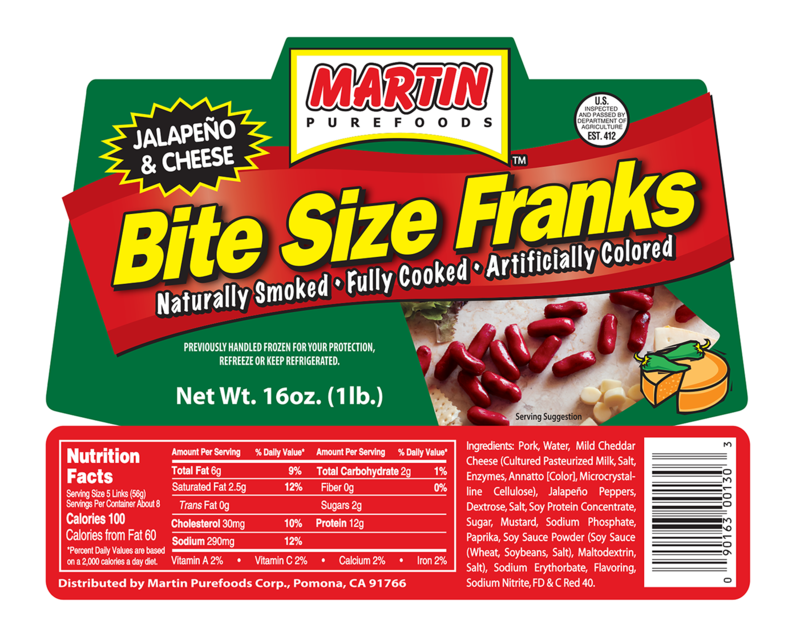 Bite Size Jalapeno Franks with Cheese 16 oz. INGREDIENTS: Pork, Water, Mild Cheddar Cheese (Cultured Pasteurized Milk, Salt, Enzymes, Annatto [Color], Microcrystalline Cellulose), Jalapeño Peppers, Dextrose, Salt, Soy Protein Concentrate, Sugar, Mustard, Sodium Phosphate, Paprika, Soy Sauce Powder (Soy Sauce (Wheat, Soybeans, Salt), Maltodextrin, Salt), Sodium Erythorbate, Flavoring, Sodium Nitrite, FD & C Red 40.